Tusshar carrying son Laksshya in arms. Siblings - Ekta and Tusshar -bid goodbye to Ganpati Bappa, who visited their home on the occasion of Ganesha Chaturthi. Ekta is a film, TV shows and web-series producer while Tusshar is an actor. Ekta is often referred to as the Czarina of Indian TV. She has produced popular shows such as Hum Paanch, Kanyadaan, Kyunki Saas Bhi Kabhi Bahu Thi, Kahaani Ghar Ghar Kii, Kkusum, Kasautii Zindagii Kay, Kumkum Bhagya etc to name a few. Tusshar made his acting debut with Mujhe Kuch Kehna Hai in 2001 and has acted in films such as Kyaa Dil Ne Kahaa, Gayab, Khakee,Golmaal series, The Dirty Picture, Shootout at Wadala etc. 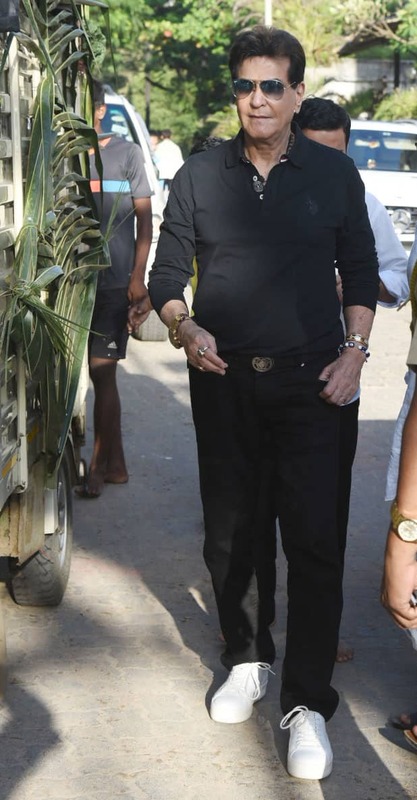 Yesteryears actor Jeetendra in Juhu for Ganesh Visarjan ritual. He is loving addressed as Jumping Jack Jeetu and is known for his trademark white shoes. Ekta Kapoor during Ganesha Visarjan ritual. 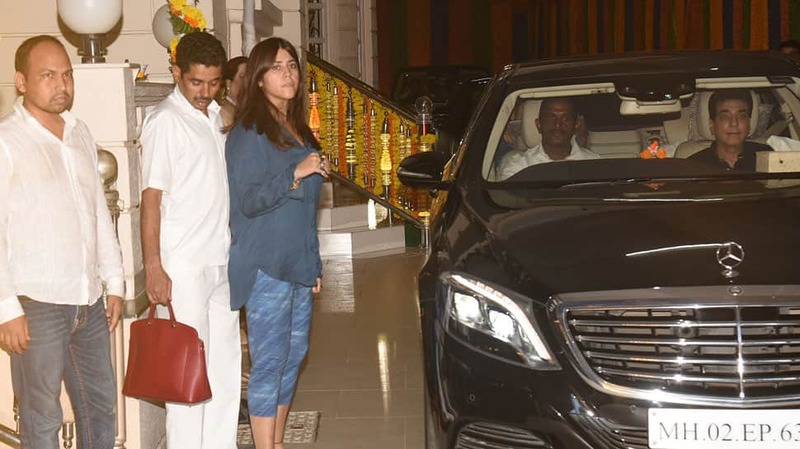 Ekta Kapoor in Juhu for Ganesha Visarjan. 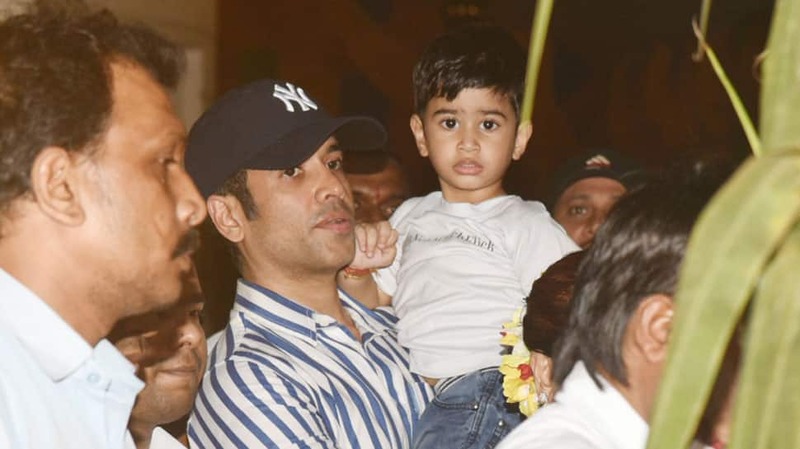 Tusshar Kapoor with his son Laksshya. 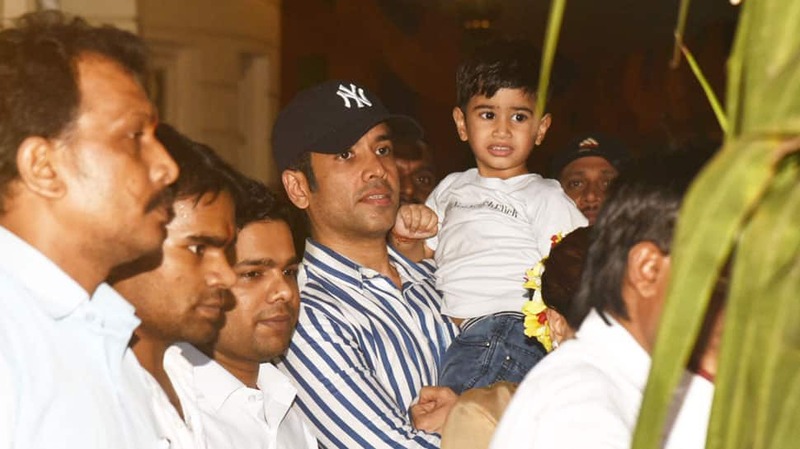 Tusshar Kapoor with son Laksshya. 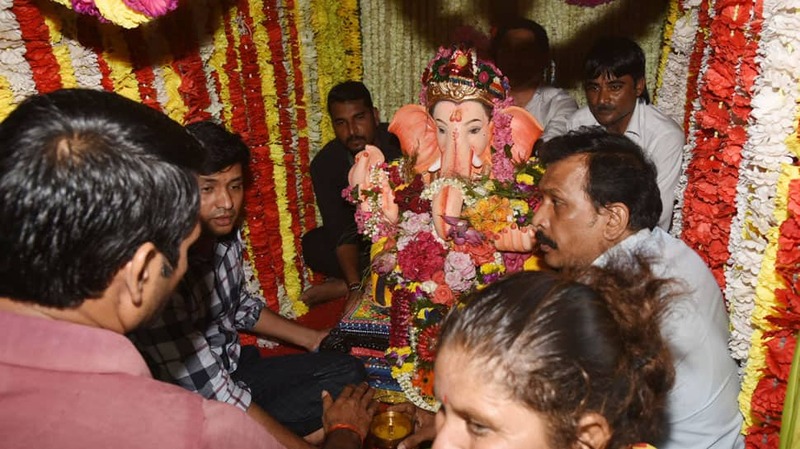 Lord Ganesha's idol being taken for immersion from Jeetendra's home in Juhu.